If you are lucky enough to be coming from San Francisco just hop on the ferry and enjoy the beautiful one hour bay cruise. Fun for grown-ups and littles! Stroll to the Mare Island Brewing Co.’s Tap Room just about 100 ft. from the ferry for post and pre-journey pints. See www.sanfranciscobayferry.com for schedules and fares. Otherwise just hop on I-80, get off at the Georgia Street exit and follow Georgia until you hit Old Town Vallejo. Stop in and check out our cool mix of Handmade, Vintage and Modern Goods. You’ll be sure to find a little something you didn’t know you needed. Vallejo's finest locally owned source for new and used books. Come to play with the vast selection of vintage pinball machines and stay for the amazing selection of records and turntables. Whether you’re new to vinyl or a connoisseur you are sure to find lots of goodies here. And let's not forget old Vallejo staples like Indian Alley Antiques and Yesteryear's Marketplace also located on Georgia Street (412 and 433 respectively). 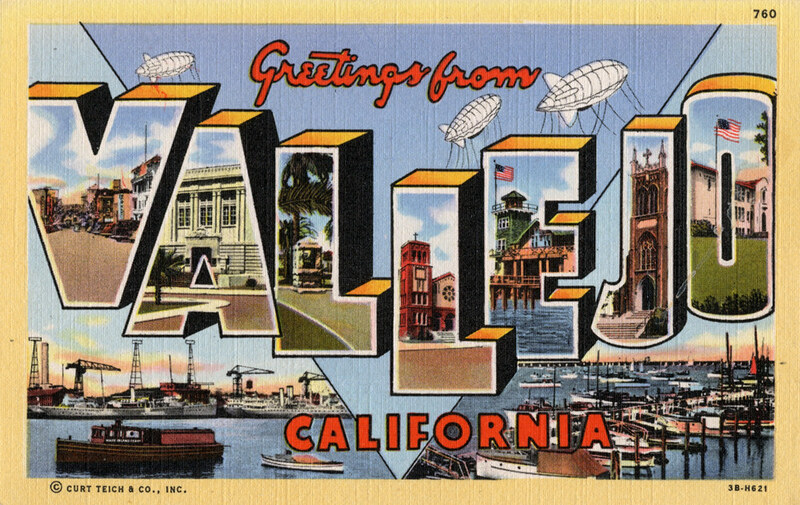 Stroll around the Vallejo Farmers Market on Saturday’s from 9am to 1pm. Great brews, great food and lots of Mare Island history. So go have a drink + a bite, marvel at the views and learn a thing or two about Vallejo history. Urban Counter serves specialty coffee, pastries and international street food with a modern touch using local ingredients creating dishes inspired by the Bay Area's vast diversity. Great hiking, awesome views, golf course and a (wine) tasting room. You can spend hours out there exploring the island and it's Navy history. Check out the Mare Island Preserve for stunning views of the Bay Area. Bringing the kiddos? Visit the Little Imaginarium, a fun, creative space devoted to children’s imagination. Little Imaginarium is a one of a kind children’s entertainment and childcare center designed to provide an imaginative and safe space for infant crawlers to age 6 to enjoy social, pretend and creative play. The Empress Theatre is a beloved Vallejo historic landmark. Built in 1911 and newly renovated it is host to a wide range of concerts, comedy shows and events. Vallejo Art Walk is a monthly occurrence in the Downtown Vallejo Arts District. It is held on the second Friday of each month from 6 - 10pm rain or shine. It's not an official event but rather a bunch of artists and artisans that open and set up on the same night to show off their talents. Most locations are in the central core of the downtown and very walkable but a few are spread out a few blocks in each direction.